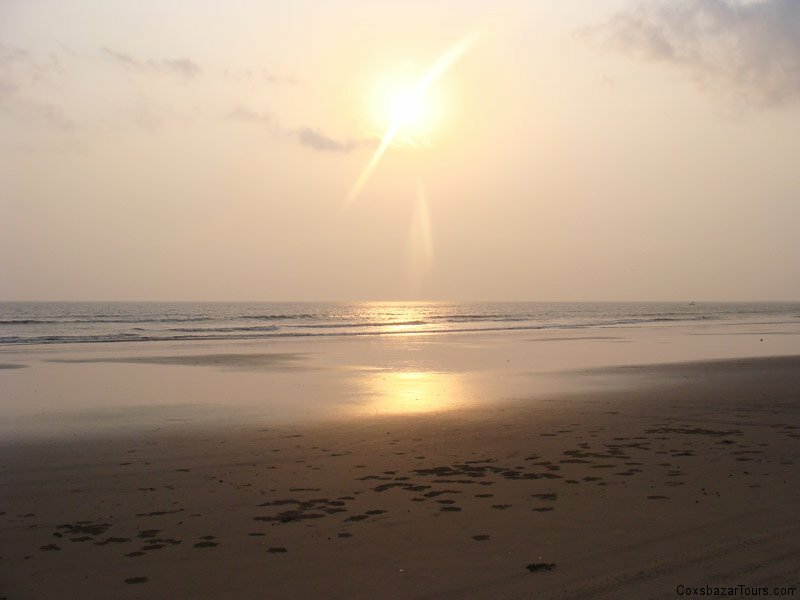 Cox’s Bazar is known for its wide sandy beach which is claimed to be the world’s longest natural sandy sea beach. It is an unbroken 125 km sandy sea beach with a gentle slope. it is a good place for sea bathing. 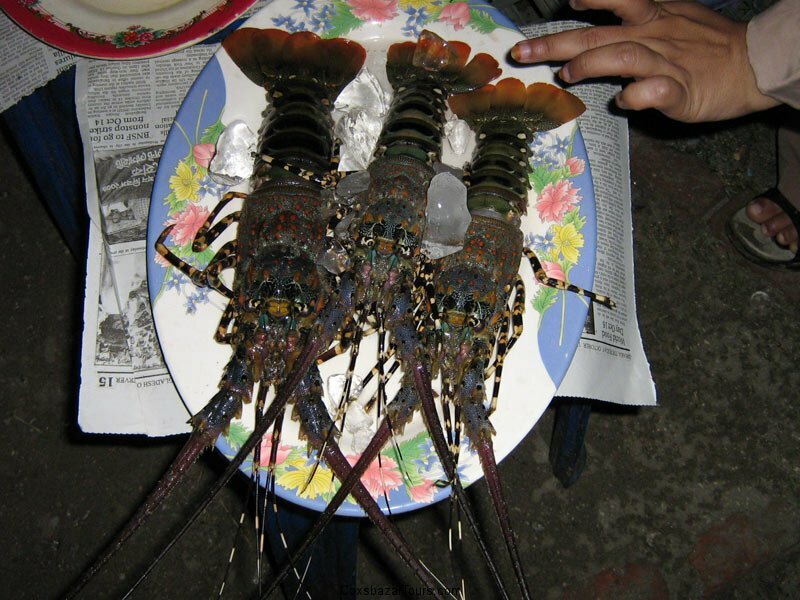 It is located 150 km south of Chittagong. 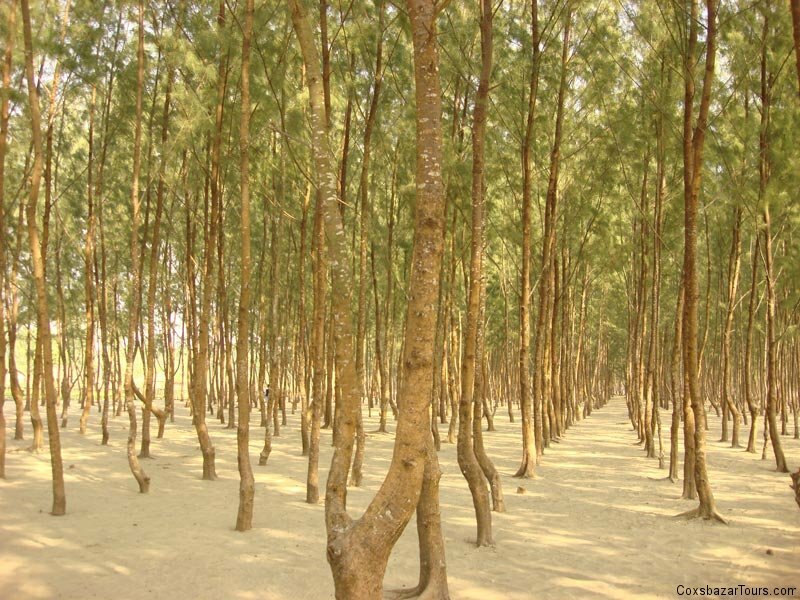 Cox’s Bazar is also known by the name “Panowa”, the literal translation of which means “yellow flower”. Its other old name was “Palongkee”. 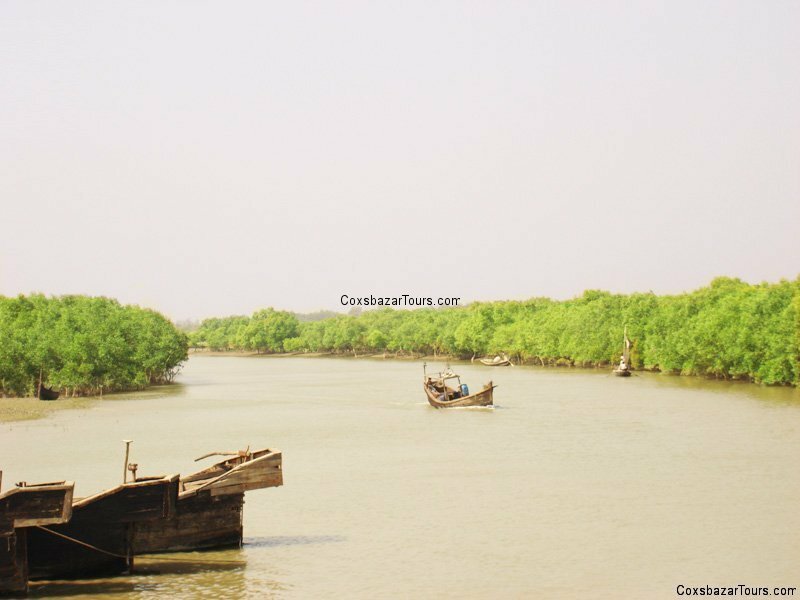 The modern Cox’s Bazar derives its name from Captain Cox, an officer serving in British India in 18th century. Although Cox’s Bazar is one of the most visited tourist destinations in Bangladesh, it has yet to become a major international tourist destination, due to lack of publicity. Enani beach is located 35km south of Cox’s Bazar town. This beach is famous for its golden sand and clean shark free water which is ideal for sea bathing. Most tourists prefer to come down here for relaxing because it is free from the crowd of tourists. Himchari is located about 18km south of Cox’s Bazar. Himchari is famous for its waterfalls. The road to Himchari runs by the open sea on one side and hills on the other which makes the journey to Himchari very attractive.